Welcome to The Willoughby Hotel, the North Shore's favourite meeting spot for 120 years. Situated in Willoughby North, just down the road from Chatswood CBD, the Hotel offers the community the perfect destination to socialise, dine, relax and unwind. Willoughby Hotel's bistro provide guests with a relaxed dining experience. Our new menu features an exciting range of share dishes, contemporary and traditional pub favourites, with a focus on quality. The Willoughby Hotel offers a carefully selected wine list to complement our award winning bistro menu, a change in seasons and your mood! Whether you are celebrating a summer afternoon with a glass of bubbles or enjoying a relaxing bottle of red with your family over dinner, our wines have been chosen from a spectacular range of local and international vineyards. Please ask our friendly bar staff for any recommendations with your meal. If wine isn't your drink of choice, we have an extensive list of local and imported beer, including a large craft beer range to suit all palates. Our commitment to proving our local community with a variety of high quality beverages is also showcased at our annual Willoughby Craft Beer Fair, which is not only a beer festival for craft beer connoisseurs, but a day out for the whole family to enjoy. Join us for the happiest of hours. 4-6pm Monday - Friday. Long day at work? Can't be bothered to cook? Take a load off! Love to show off your unique knowledge? Grab some friends and join us for a fun-filled evening with lots of prizes to be won! Bookings recommended on (02) 9417 2119. Mid-week dinners just got better! Our favourite day of the week!! Select any 2 main meals from our award winning bistro and receive your second meal (to equal or lesser value) for FREE. Available every Thursday for LUNCH (12-3pm) and DINNER (6-9pm). 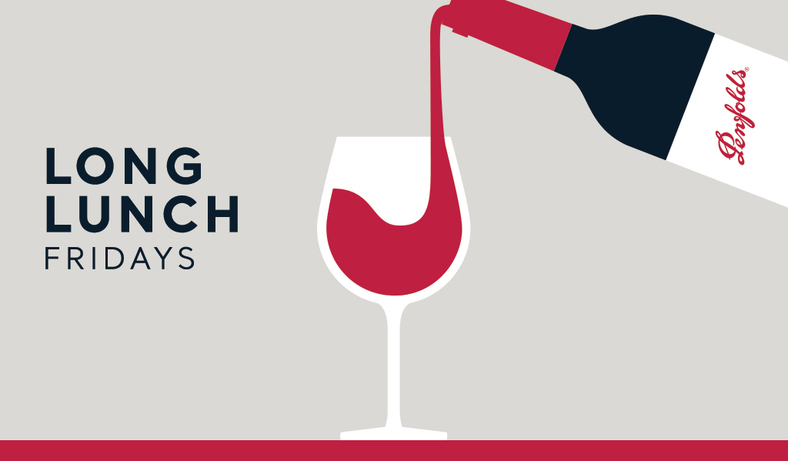 Make a booking on Friday for lunch for 6 or more people are receive a complimentary bottle of Penfolds Bin28! Fan of Rugby Union, NRL or is AFL your preference? You can catch all codes at Willoughby Hotel. Speak to our friendly staff to find out what's on or to make a special request! 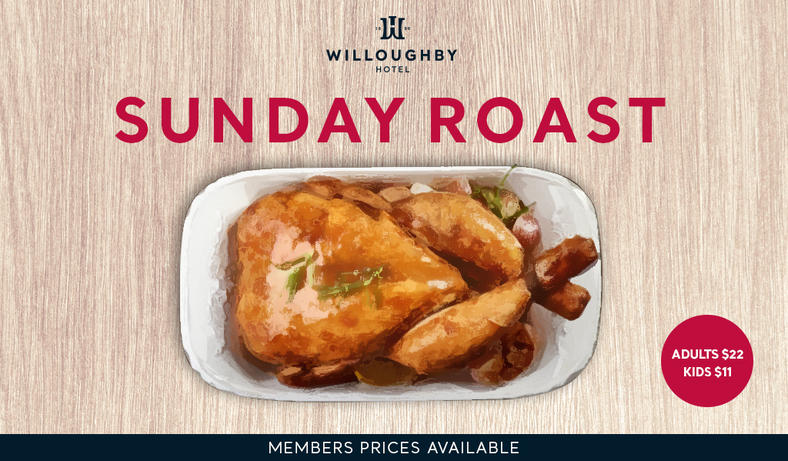 End your week perfectly with our traditional, wholesome and mouth-watering Sunday Roast. 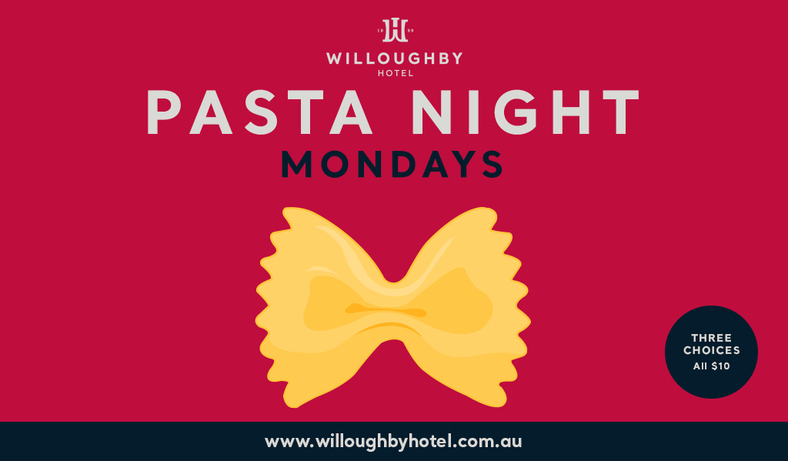 Call (02) 9417 2119 to book your table now! Proudly presenting Anzac Day 2019. Join us after the dawn service for a BBQ and beer with a 6am open we have all your needs covered! 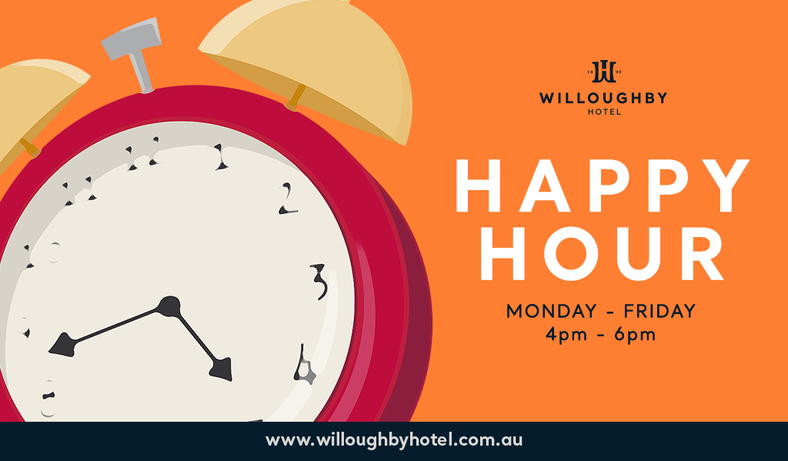 Willoughby Hotel is home to one of Sydney's premier VIP Lounges. The Dragons Den is open till late, 7 days a week. Our hosts are committed to ensuring your experience is always exceptional. Willoughby Hotel is proudly an official Publinc venue. The Publinc program provides its members with great benefits, rewards and exclusive access to promotions at over 22 locations in NSW. Willoughby Hotel is an official Publinc venue. Publinc Advantage membership is your key to access great benefits every time you visit Willoughby Hotel and 21 other venues across Sydney. 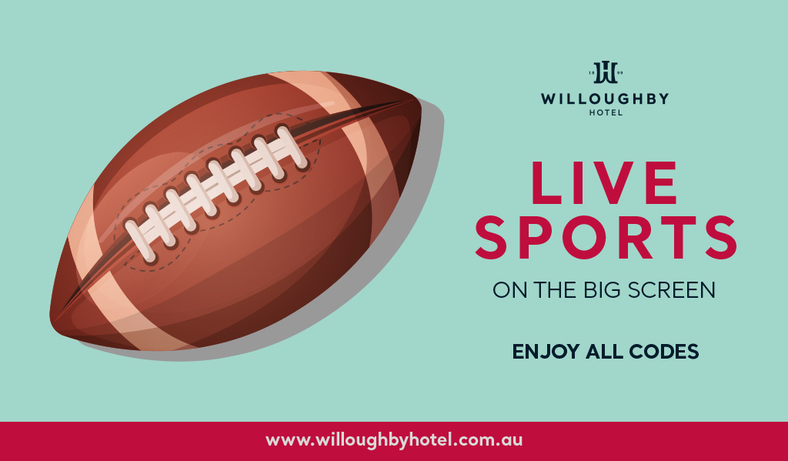 With exquisite function spaces holding true to its federation heritage, the Willoughby Hotel is the perfect North Shore venue for your next function or event, guaranteed to impress your guests! 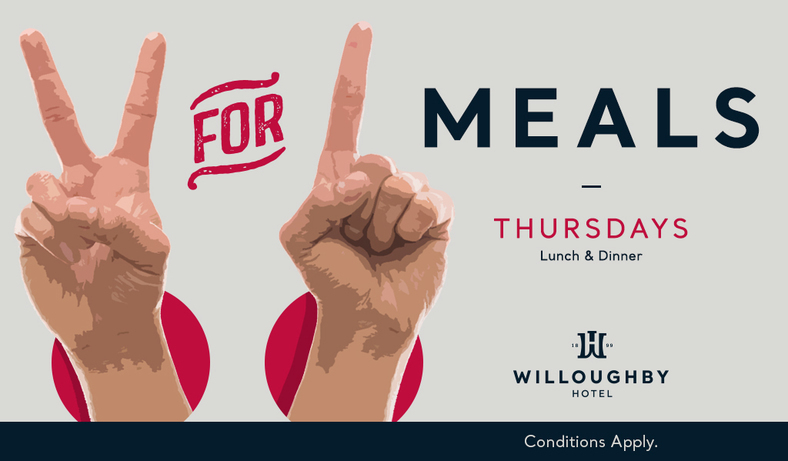 The Willoughby Hotel is now available to cater to any type of function - Engagements, Birthdays, Baby Showers and more - with a range of small and large scale areas available for your hire and use. The Penshurst Room is perfect for cocktail engagements, furnished with elegant high tables and traditional bentwood barstools, this room offers an open space for your guests to meet and mingle. Depending on your specific requirements, the space converts easily to a dance floor or can be set for a larger formal dining function. Suitable for 40 guests seated, 100 guests cocktail. This room embodies the old world charm and comfort of the Willoughby's formative years, with classic Chesterfield lounges and an original white marble open fire place. The room offers an intimate space for smaller functions, or as a break-out space from the Penshurst Room for larger functions. The dining room is situated adjacent to the MacMahon Room and also features a stunning original open fireplace, in addition to large hardwood dining table that can seat up to 10 guests. This room is perfect for private meetings, or intimate dinners. The Terrace is a fantastic space that features comfortable "al fresco" lounge areas and a large screen TV. Combined with BBQ facilities and packages available, this is the perfect function space for a traditional Aussie BBQ function, served in style. 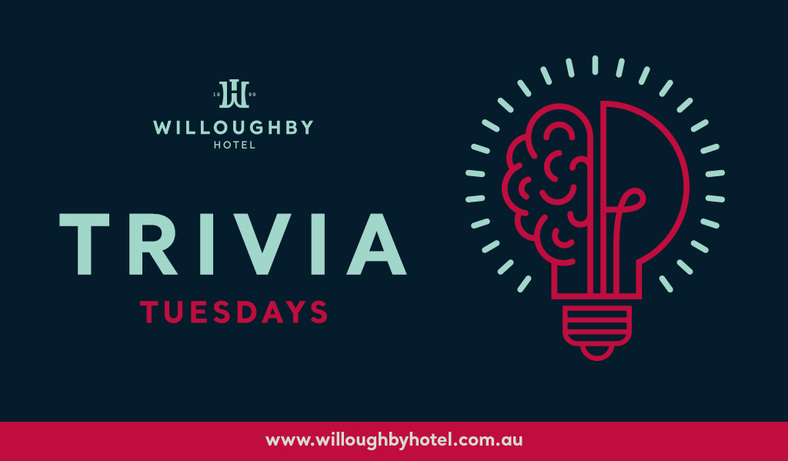 The Willoughby Hotel is an active part of the local community and as such we pride ourselves in preserving both the sanctity of the local community and the iconic and historic architecture created some 115 years ago. We are proud to give back by supporting a range of initiatives that enrich community life, including local community groups, sporting clubs, charity organisations, schools & events. If you are seeking support, please contact us today!